If you put the best real estate agents in the world into one room and ask them what they did to become successful, you’d probably get a lot of different answers. Some get lucky. Some have an unending stream of contacts that are ready to buy and sell. Then some just work hard. No matter the reason, there are similar systems and models they followed that ultimately led to their success in this business. Where Keller Williams has taken the lead in the industry is with real estate training courses. Especially with Ignite, the comprehensive training course for brand new agents and seasoned professionals that need a refresher. It’s designed to teach the habits of successful agents and get them into production as quickly as possible. You don’t have to reinvent the wheel, just model the behavior of the successful agents around you. Ignite. That is exactly what this course is designed to do, ignite your real estate business. The Keller Williams Ignite program is offered in every market center and is taught by the top producing agents in each office. Learning from the best in each local market is not only the KW culture in action. It’s also the easiest way for new agents to learn and start generating income. Teaching agents to sell real estate is not the only thing we focus on in Ignite. Teaching business, time and money management is vital as well. We’re here to teach agents how to run a business, not just sell homes. We firmly believe this is your real estate business and we want you to run it as such. How Long Does KW Ignite Last? 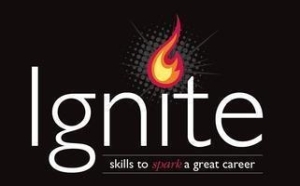 Ignite is an educational course that is designed to be delivered daily in the market center over one calendar month. The course consists of 18 two-to-three hour power sessions with two additional sessions set aside for topics based on specific needs. Each week culminates with an accountability session. Ignite can be taken multiple times and works hand-in-hand with BOLD, KW’s premium training program. Each session will have you engaged in real estate activities where you will be actively getting leads, working your business in class and learning to service buyers and sellers. You’ll learn everything you need to know from setting the first appointment to closing the deal. There is no reason to settle for mediocre results when you can achieve superior results with the education provided by Keller Williams Realty. The Ignite real estate training courses (see Keller Williams Ignite PDF) are practical, realistic and easy to apply. By taking the fundamentals that successful agents have put into practice, you too will be at the top of your game once you master them. Ignite builds on the skills you already possess to make lead generation second-nature. Without leads to work with, your skills won’t mean a thing. There are too many cases of agents giving up on this vital part of the industry because it is too hard, or the economy is bad or no one wants to buy houses. Instead of excuses, the KW Ignite program gives you tools to create a roadmap to success and build on it every day. Build your career with Keller Williams systems, models and tools. Do daily lead generation activities that will fill your pipeline with prospects. Time block for maximum effectiveness and productivity. Develop job aids that are customized to your style and area of specialization. Learn powerful scripts, which allows you to know what to say in every situation. Keller Williams hopes the word “Ignite” makes you envision success, sales, profits, lead generation, and a successful career. Dealing with business never takes precedence over finding the business. This program is the first step in achieving all of these things. The real estate training courses you find at Keller Williams Realty are truly unparalleled to any other that is available today. Start your career with the fire that drove you to the industry in the first place, and let Ignite guide your path in the right direction.